willard3 hasn't added any friends yet. 5. Low light levels (reduces fertility). 7. Poor air circulation (air circulation contributes to pollination). 8. Lack of pollinating insects. 10. Too much mineral in feedwater. 11. Too much grower attention/anxiety. #1627258 Crisp and sweet, with a hint of heat? Look at chiles guero caloro from the mercado in the Bajío. Not only are poblanos thick-walled, I've had them from the market that are picante but they are very likely land-race varieties. A picante, thin skinned chile that doesn't get a lot of play is chile arboles. In Mexican mercados, it's one of the five types that everyone carries. the pepper plants will fruit under 24 hrs lighting? 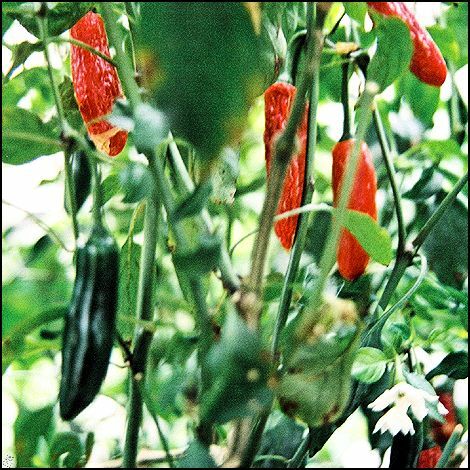 Chiles are day neutral, ie, lighting period has nothing to do with fruiting. And there sir, is the major problem with chile taxonomy, people make up names for chiles with no reference to readily available information. That's neither a bird's eye nor an habanero chile. 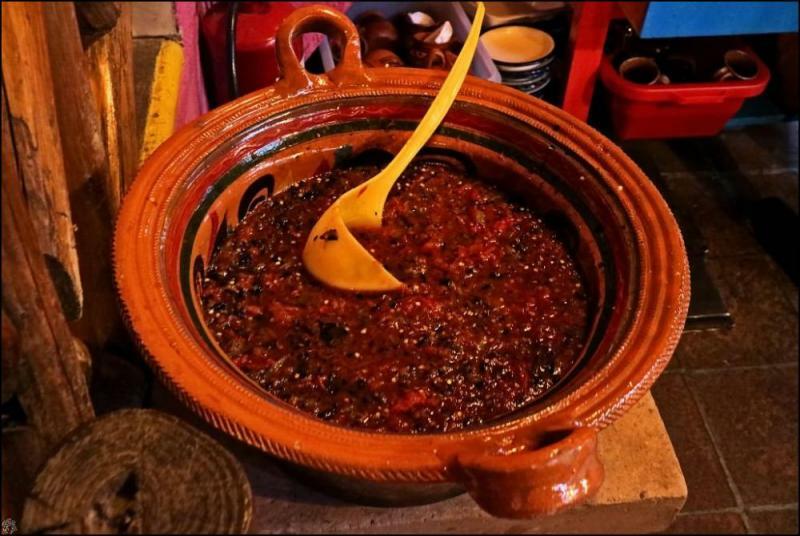 This is the salsa in Restaurante Colorines in Tepoztlán, Morelos. My niece and I like picante stuff but this had us gasping for breath with eyes tearing and all. Don't know what was in it, but it was picante. This is a real Mexican restaurant where they make tortillas to order. You could start in "Vendor Vault" where: Review seed and plant vendors. Post praises and/or concerns regarding vendors, their pricing, reliability, and more. I started growing many years ago when the best you could get in a store was zippo. I like picante food. I use it in the nutrient reservoir in all water that is added. #1618708 Probably a dumb question: Using water from a dehumidifier? It is distilled water. Use it for your plants.